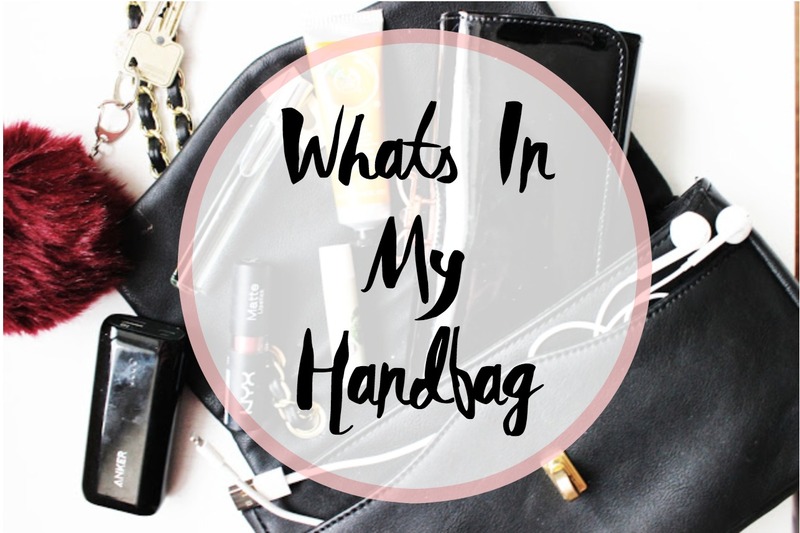 I thought i would share with you all whats in my bag as they are very popular post and yet one i have never ever done. First of all this bag is from Floriell i got it last year from a outlet, I'm not going to lie ever since the shop has been there i have got one every time I visit, literally every time. 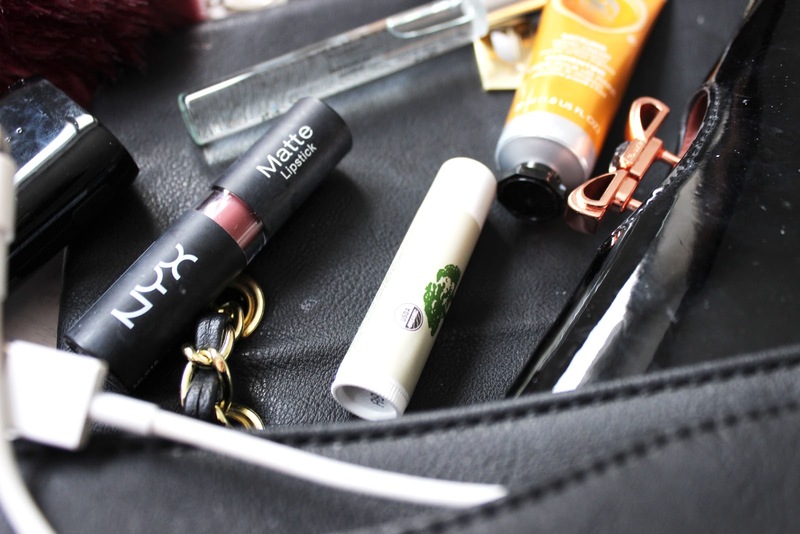 Origins Lip Balm- I always take a lip balm in my bag as they always come in handy and theres nothing worse than walking round with dry lips and having nothing to put on them and this one by Origins is amazing I've been loving trying it out recently, definitely a handbag essential especially in the winter seasons. Powerbank and Phone Charger- I literally don't go anywhere and I mean anywhere without these, this power bank has 200% charge with it and its essential for days out or when I'm in uni as my phone battery literally never lasts me all day. 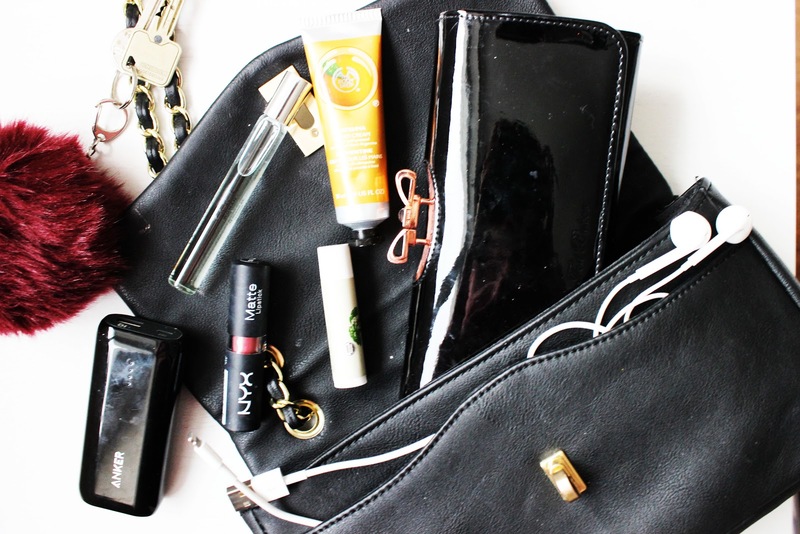 Zara Perfume-This little perfume is perfect for my handbag, its tiny so fits in any bag and its great to keep you topped up when your out all day and you know sometimes when you feel like you could do with a freshen up. Body Shop Hand Cream- I love this hand cream it smells amazing and its so soft on your skin, its perfect to keep in your bag especially in winter as sometimes I tend to get rough and dry skin. Ted Baker Purse- A purse is a pretty obvious essential but I take my Ted Baker purse everywhere with me, I should really get a smaller one because when I only have a small bag this literally takes us all of the room. Keys- Again another pretty obvious one, keys. You always need your keys in your bag to save yourself getting locked out which has happened to me quite a few times. Halloween Baking with Co-op Food! How to stay cozy this Autumn!